As part of the agreement with LarCoop in Puerto Rico, Paramount Management Group, through its subsidiary Sharenet, will provide complete ATM outsourcing services to the financial institution. LANCASTER, Pa. - Dec. 10, 2018 - PRLog -- Paramount Management Group is proud to announce that it has entered into an ATM management agreement with Cooperativa de Ahorro y Credito de Lares (LarCoop) in Puerto Rico. Paramount will be providing complete ATM outsourcing services to LarCoop's ATMs through its Sharenet subsidiary. Sharenet has been a leader in providing ATM outsourcing solutions to financial institutions since 1994. The company has been present in Puerto Rico since 2008 and provides services to over 27 local financial institutions throughout the island as well as proving ATM solutions to Walgreens. "We are proud to expand our ongoing relationship with LarCoop and this new agreement is a reflection of the trust we have earned from our customers," commented Jorge Fernandez, CDO/CMO with Paramount. "Providing reliable and efficient services to our customers is at the cornerstone of our outsourcing offering and we look forward to continuing to assist LarCoop in the expansion of their ATM network throughout Puerto Rico." "We are grateful to the entire Paramount and Sharenet team for their diligence in bringing our new branches live and with the superior level of service they have provided our ATMs," says Jose Marrero, CEO at LarCoop. "Our members expect superior service levels at our ATMs and the Sharenet team have delivered on that commitment." 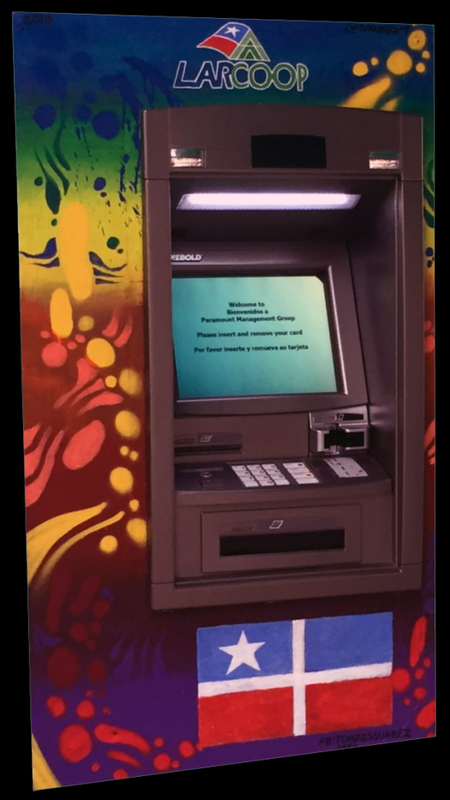 "We have made substantial investments in expanding our ATM offering in Puerto Rico and helping our local financial institution customers recover from the effects of Hurricane Maria. We are committed to the island, its recovery and assist our customers to reduce costs and improve ATM functionalities," added Fernandez. ABOUT PARAMOUNT MANAGEMENT GROUP, LLC — A national leader in implementing solutions incorporating technology allowing consumers, retailers and financial institutions to interact with each other, Paramount's services include the placement and operation of ATMs, digital media solutions and meeting consumer needs by providing bill pay, money remittance, gift card dispensing, among other services at the ATM. For more information, visit www.paramountmgp.com. Visit www.sharenetatm.com for more information about Paramount's ATM outsourcing programs.